If you head over to the Lookbook I have written out a full tutorial on how they were made. 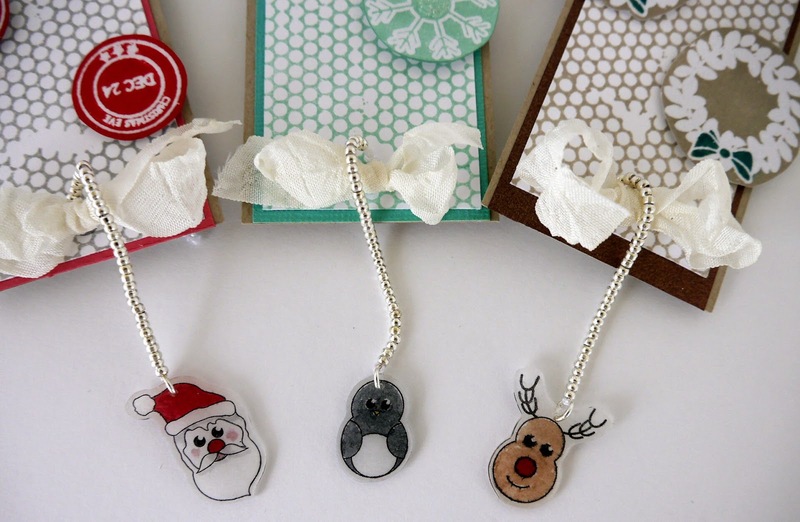 The small charms are made by stamping the cute characters onto shrink plastic, and then threading them, along with small silver seed beads onto some cotton, before attaching them to the bookmark. To make the snow background I had to think outside the box. I didn't have a snow background stamp, but on the Doodle Doll Princess Girl Stamp Set there is a sequin waste background stamp, and by repeat stamping and pattern matching that does a pretty good job.